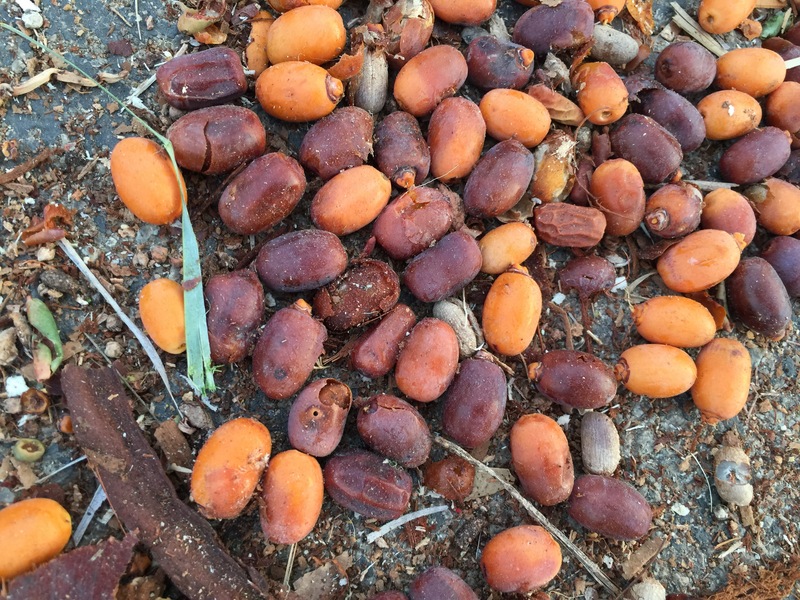 After our date palm was “aggressively” pruned last week, the driveway was littered with the fruits. 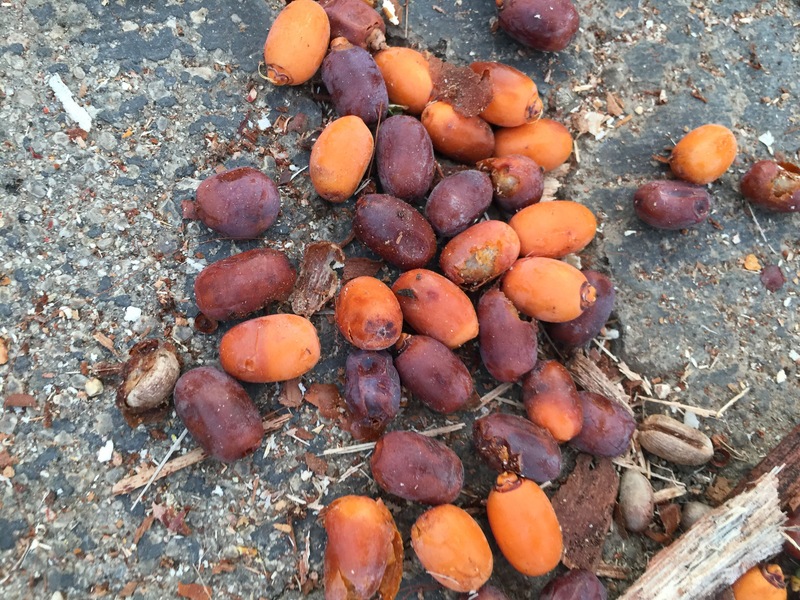 I have no idea if these thumb-sized bits (dates?) 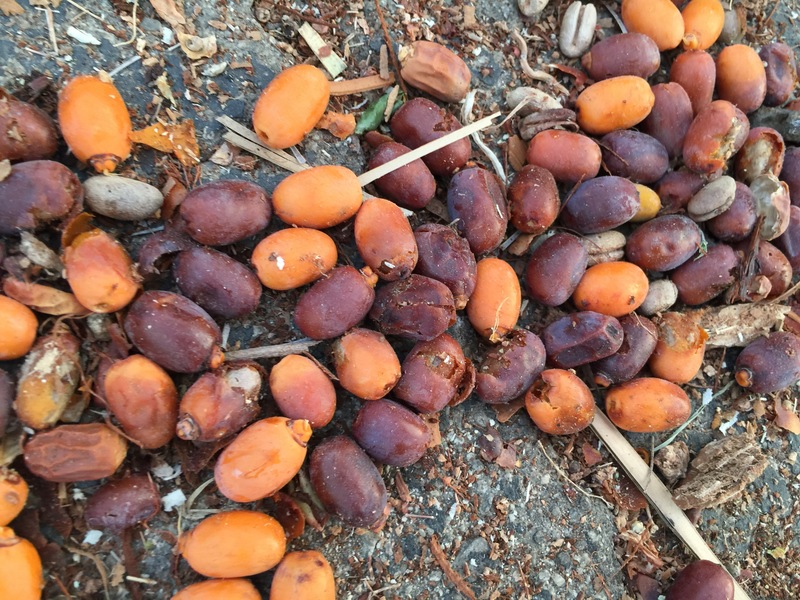 are edible, nor do I have any idea how they might be prepared to be eaten if they are useful. 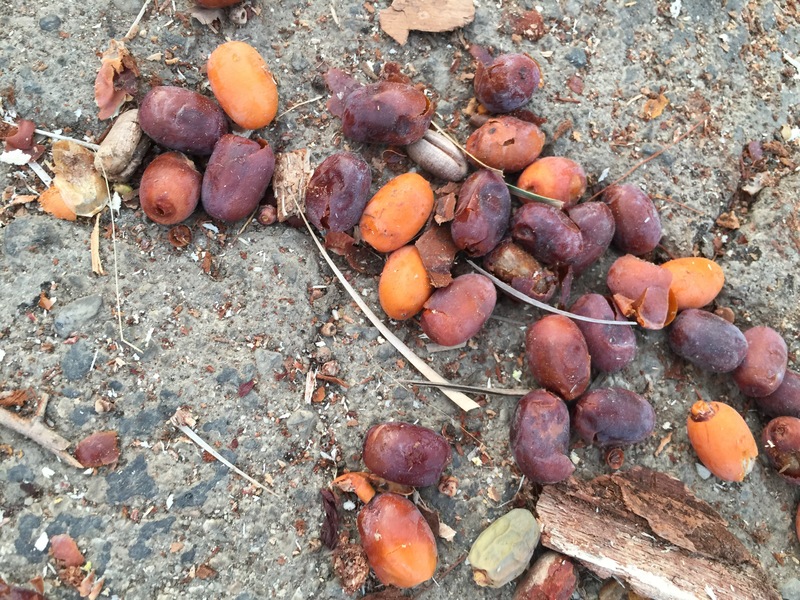 I’ll guarantee that the critters in the neighborhood found them to be edible – the squirrels, rats, and raccoons all were feasting on them pretty regularly. Jemima Pett was correct with her comments last week – the critters (roof rats) which were put out by the tree trimming are now loose in the yard and looking for new lodging. With plenty of fruit trees in our yard and throughout the neighborhood, we’ll occasionally see a rat. This week I’ve seen them almost daily. But at the time I was cleaning up the debris from the pruning I thought that the combination of dark purple and bright orange fruits was intriguing.